Product prices and availability are accurate as of 2019-04-15 20:50:57 UTC and are subject to change. Any price and availability information displayed on http://www.amazon.com/ at the time of purchase will apply to the purchase of this product. HQA PLA is a tough, easy to use high grade PLA filament produced exclusively using, Made in the USA, Nature Works Ingeo 4043D PLA resin, the gold standard for 3D printing. Slightly modified, the filament retains the typical features of PLA, but makes it tougher and less brittle. Due to a low shrinkage factor PLA will not deform after cooling. 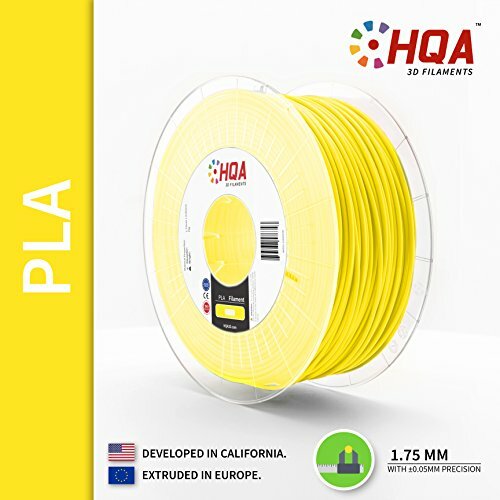 PLA is an plastic made from renewable natural resources and one of the most popular materials for 3D printing. 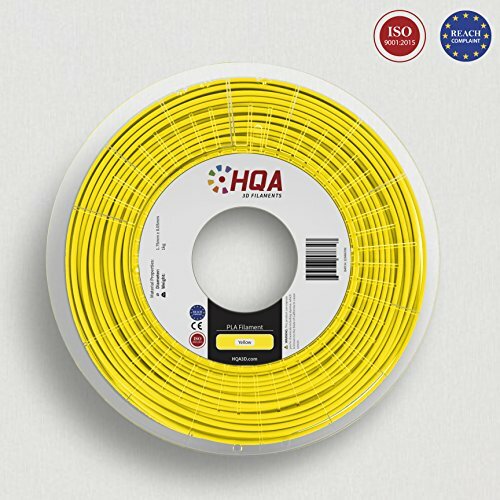 Due to its low tendency to warp PLA can also be printed without a heated bed. If you have a heated bed the recommended temperature is ± 35-60?C. 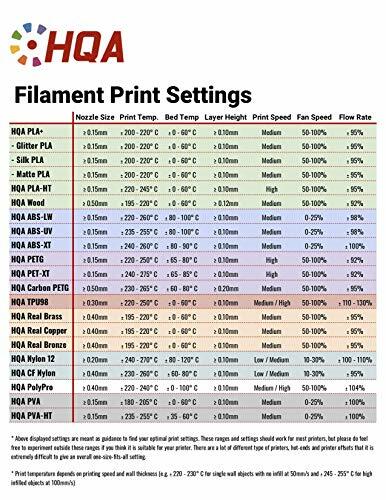 PLA can be used on all common desktop FDM or FFF technology 3D printers. Recommended to store Cool and dry (15-25?C) and away from UV light. This enhances the shelf life significantly.